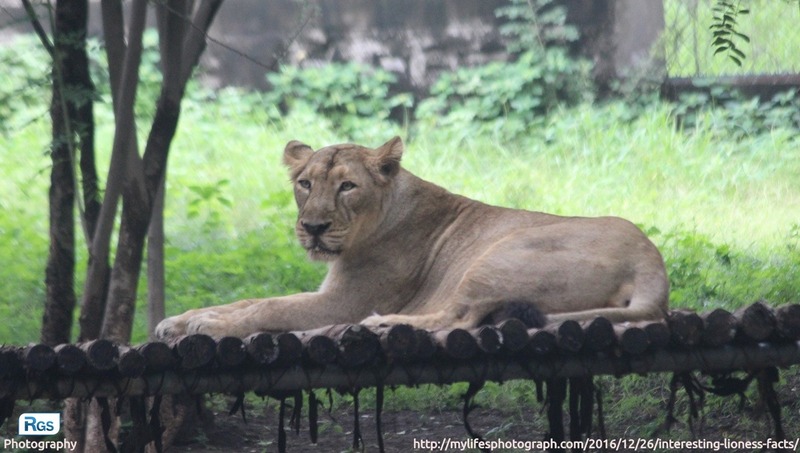 The Lioness – hope, constancy and victory. I have captured this photo at Pradyuman Park, Rajkot. In the photo, she looks too much innocent but in anger, she can do anything. I find some interesting facts about them from the internet which I want to share with you. Interesting facts about the lion and lioness. Lions are social of all categories of cats. They are second largest cat in the world (they are behind than tigers). The lions can run/reach at the speed of 50 mph for short distances and can leap as far as 10 to 11 meters. In general, the group of female lions does most of hunting even though the male lion eat first and the lionesses are better hunters than male lions. The roar of a lion can be heard as far as the distance of 8 kilometers (5.0 miles) away. In free time, Lion may sleep up to 20 hours a day. In the wildlife, males rarely live longer than 10 to 14 years, but As a prisoner, they can live more than 20 years. You can also check my old post which was regarding the White tiger. Must read that post which is about interesting things about white tiger, the story behind the capture of that photo and about the pradyuman park. Visit the following mention link: The Stare of White Tigers.